Edit #4: New information had led to the conclusion that these reputation caches will now require 10,000 rep past Exalted, rather than 20,000. This could still change, as 7.2 is not live yet. Edit #3: It's now been discovered that this has a chance to be included within Kit de Suprimento do Guardião, a container you receive for earning additional rep beyond exalted with The Wardens, starting in patch 7.2. As of right now, while 7.2 is still undergoing PTR testing, you will receive one Kit de Suprimento do Guardião for every 20,000 10,000 reputation past exalted. There are similar caches for every other primary Legion faction (Baú de Farondis, Baú dos Tece-sonhos, Suprimentos da Alta Montanha, Baú dos Noctívoros, and Caixa-forte dos Valarjares), all of which are also obtained via gaining additional reputation post-exalted status with the respective faction. In addition, the achievement Paragão das Ilhas Partidas will be added, obtained by earning a total of 10 of these containers in any combination. Edit #1: Here's some actual info. According to the current spell's page, and keep in mind I'm posting this during the PTR, this item will transform your appearance for only 20 minutes. With a 2 hour cooldown, it's not much uptime. There are currently no flags on the buff applied that imply you will not be able to fight while it's active, so unless that changes it seems we WILL be able to fight with this appearance active; most likely using standard Warden NPC attack animations. Here is a link to the buff applied by this item: Aparência de Guardiã. Note that it does state you will not be able to use this in Arenas; a fairly typical restriction. --That link is dead right now, but whenever it's added you'll be able to see what it looks like there. Edit #2: Ignore the striked text above; since I originally posted this comment, the NPC page for the unit who's appearance you'll imitate has been added to the database; it is, however, effectively only a placeholder at this time and has no information other than the generic "Warden" name. If you are curious as to what an average Warden model looks like, you can view one here: <Shalis Caçassombra> -- or, the more popular and widely-known model with the larger cloak can be seen here: <Maiev Cantonegro> (click "View in 3D"). It's currently not known which specific model type will be utilized. 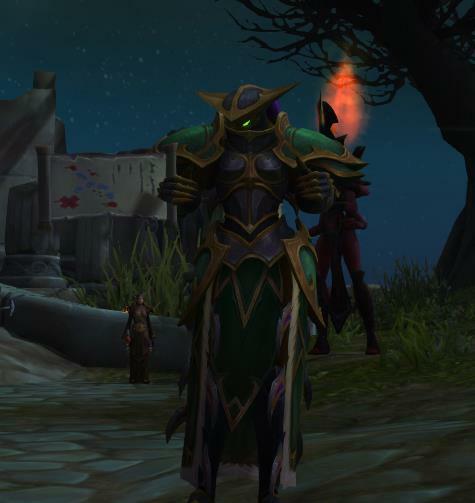 While it's safe to assume that most are hoping for the latter when it comes to those two model types, if the Maiev Cantonegro "larger cloak" outfit is (from a lore perspective) specifically unique to her while other Wardens utilize the former model, it may be a reasonable assumption that we'd transform into a more generic Warden model rather than a unique and character-specific one. As I am no expert when it comes to NPC histories, I cannot state for sure whether or not Maiev Shadowsong utilizes the (much cooler) "large cloak" model exclusively -- but if she does, I'd probably be expecting the alternative/more generic model if I were a betting man. I've spent a bit of time on my Demon Hunter attempting to create a Warden's mog set, but you can never really get the full thing going. This is going to be great, but the question is... will it work in combat? That's the main thing for me, will we be able to mess demons up with the classic Warden's cloak/glaives (or whatever the weapon is called)? Because if so, this toy is the best thing ever and should be a raid-wide requirement for every guild. No Warden's appearance, no loot! Manto Sobressalente de Sira is a low-drop from the 7.2 post-exalted (paragon) emissary chests, specifically from the Kit de Suprimento do Guardião. Appearance lasts for 20 minutes, which is pretty short considering the 2 hour cooldown. I could fill up a whole actionbar full of appearance toys - too bad I need them for actual spells. Can confirm this is a whopping 20 minute effect with a 2 hour CD. Effect drops when mounted but reappears when you dismount. I have opened 13 Rep caches...No damn mounts or this toy...only gold, curious coins, resources...I am not doing this for that crap. Starting to get discouraged when I see people "supposedly" getting the mount/toy the first time. If you've got a bow equipped, the disguise thoughtfully adds a quiver for you. This DOES work with Shapeshift / Combat. Flight form still changes into a bird / owl, but you don't lose the 20min buff shifting in / out of flight. Seriously, ! 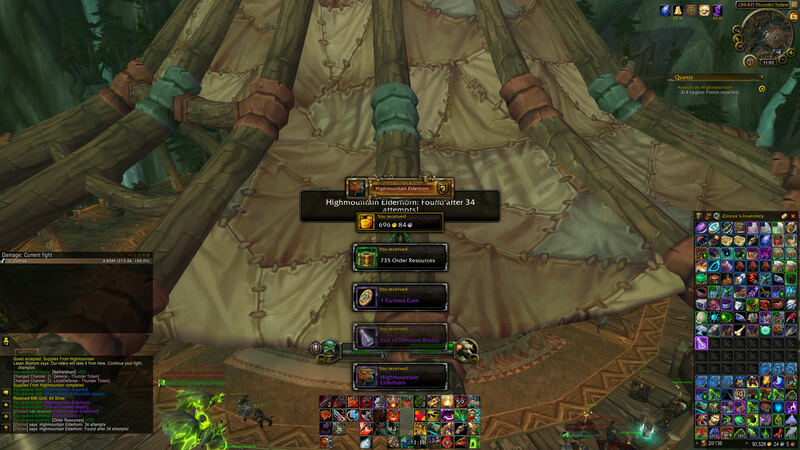 @#$ Blizzard for making these things a really low drop rate. Am up to my 18th chest (across 3 characters) and it finally dropped for me. Can't believe that I had grind 180,000 rep points since Apr just for this toy! Was really relieved. The reps are good but the specific WQs are spread across several regions making it a hassle to do them. 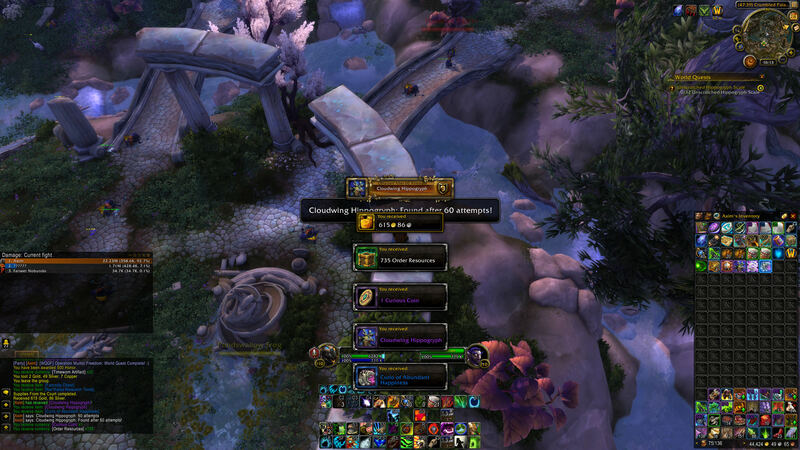 I also had to do them when Invasions pop up; you get rep from killing Legion Elites. I logon my alt and went for a dungeon run and it's really AMAZING. The 20min buff is so awesome! The animations are the same as the female night elf but seeing the warden in action was so cool. Absolutely love it. It should still be on a 3% drop rate, so expect at least 35 chest before getting one. Any earlier than that is good luck. For those who hasn't got one, please don't give up. Good luck hunting. Took 24 boxes to get this toy. 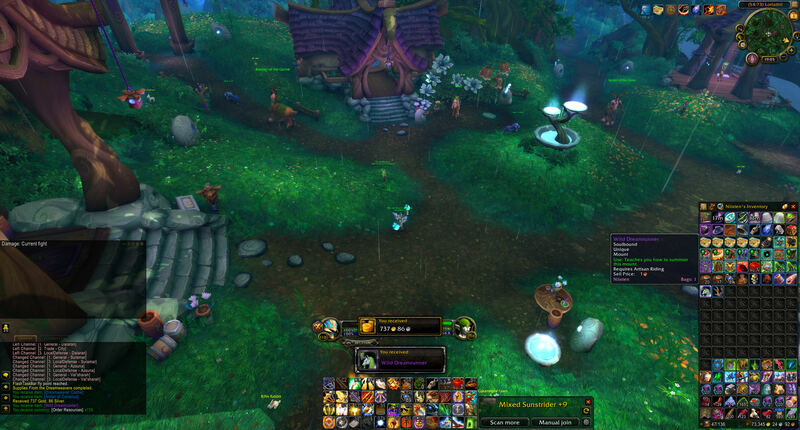 I have switched to getting all my rep from BoA rep tokens from 12 order halls and funnelling them over to one character (good way to passively make Curious Coins too). I use the phone app and check missions around three or four times a day. You can stack em up and wait for Darkmoon Faire (Mage has a rep buff too). Obviously it's going to take some time to get exalted on all Broken Isles factions on 12 order halls, but I'll take that over doing WQs over and over. Highmountain and Valajar for some reason have taken much longer to get exalted on for all my characters. So I'm just getting rep tokens and making gold without logging in that much (like 10 mins a day for WQ auto complete items and transmutes). This dropped out of a reputation reward box. I have 6 level 110 toons and that took over a year of grinding. That's a low percentage. This was by FAR the hardest item for me to get from the paragon chests. 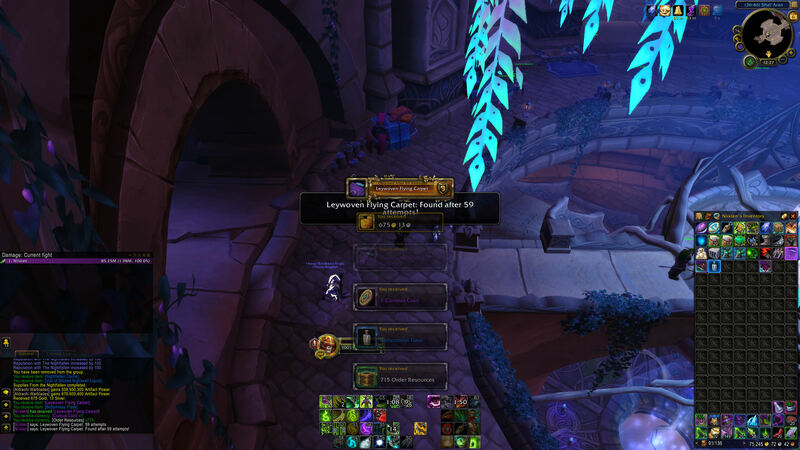 No idea how many chests I looted but I have a ton of alts and was doing every wardens rep mission and all the Warden and Kirin Tor emissary chests just for this for a long time. Finally got it today, really threw me as it looked like a piece of gear.